(anon). A Bay Area Connection. Works from the Anderson Collection. 1954-1984. Photo available. Santa Clara. Triton Museum of Art. 1996. Octavo. Soft cover. First edition. Illustrated in black, white and color. 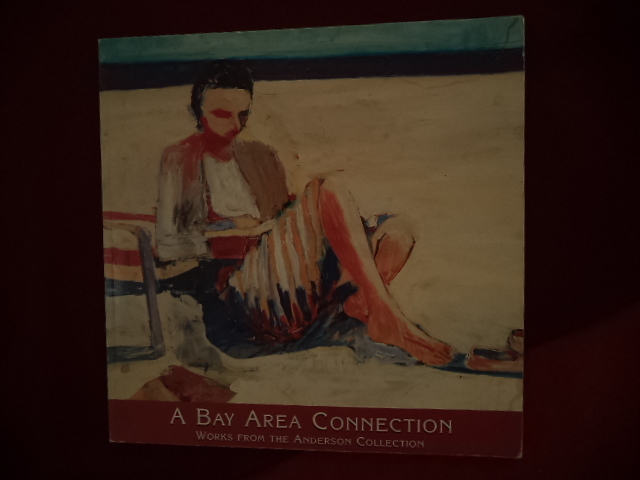 Includes works by Diebenkorn, Gilhooly, Arneson, et al. Fine copy. Possible inscription by one of the artists.